On the first floor, laying face up between an escalator and the Michael Kors store, was a 5-year-old boy. He had been thrown from three stories above - by a stranger, police say. The child's mother asked everyone to pray, witnesses said, and security guards, patrons and police began performing CPR. The boy was rushed to a local hospital with "significant injuries" from the 40-foot fall, authorities said, and was still being treated 24 hours later. "That's a pretty high fall," Bloomington Police Chief Jeffrey Potts said at a news conference Saturday in Minnesota, describing the scene and his reaction to it. "Immediately, my thoughts were: how can something like this happen?" Potts called the situation "horrific" and said the department was keeping the boy and his family in their "thoughts and prayers." Because the family has asked for privacy, authorities are not yet releasing the name of the boy. Potts did not offer details about his condition. "The child is still alive and receiving care," he said. The suspect, 24-year-old Emmanuel Deshawn Aranda, initially fled on foot, authorities said. A witness tried to stop him, and officers soon after apprehended and arrested the Minneapolis man in the mall's transit station. Aranda faces a preliminary charge of attempted homicide and is being held at the Hennepin County Jail. "I just hope that little guy turns out OK," witness Michael Baumann told local TV station ABC 5. "I just, you wonder . . . how could anybody do that?" 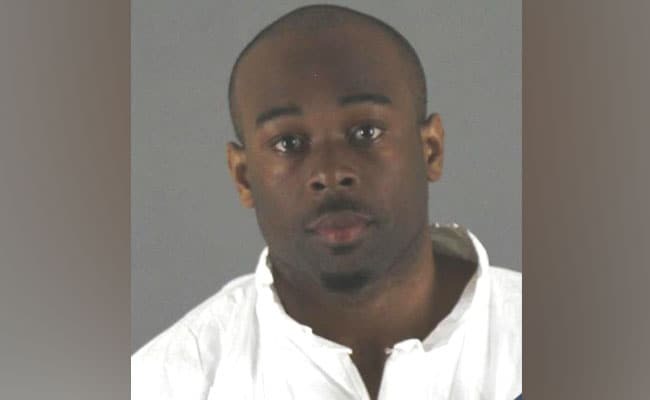 In July 2015, he was arrested at the Mall of America on three misdemeanor charges - property damage, disorderly conduct and interfering with a peace officer - after police say Aranda threw items from the upper level of the mall to the lower level. He had also swept his hand across a display table at the beauty store Bare Minerals, breaking lip gloss containers and shot glasses, police said. A month later, in August 2015, Aranda told authorities he has "anger issues" when he was arrested on a felony property damage charge at the public library. Aranda had smashed five computers and keyboards "beyond repair" after he read something on Facebook that infuriated him, the man told authorities. Aranda asked the woman to buy him something while they sat outside the restaurant, waiting for it to open. The woman laughed off the request, records show, and sat down inside. Aranda followed her inside, sat at the table beside her and continued his campaign. When management intervened, Aranda grew enraged. He tossed a glass of water in the woman's face, then threw a glass of tea at her leg, shattering the cup. Potts said some of Aranda's past cases were handled through a mental health court, but would not comment further on the man's mental health status at the time of Friday's incident. Brian Johnson had just entered the mall when he saw the crowds of people gathered near the escalator and the boy on the ground. His mother, Johnson told ABC 5, pleaded with the onlookers: "Everyone please pray. Please pray for my son. Everyone here right now, please pray." "How in the heck can this happen with all of the craziness going on in the world," Johnson said. "Why would you single out a kid and ruin a family's life like this?"